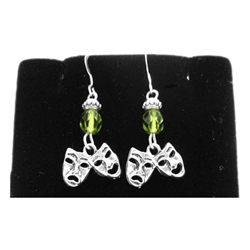 Large comedy and tragedy mask dangle earrings with green gem beads. Earrings measure 1" tall by 1/2" wide. Made of sterling silver.